The three-day long conference aims to share the latest research and explore initiatives taking place around the world aimed at tackling climate change. With 2017's dramatic fire season still fresh in the minds of many British Columbians, scientists and officials are gathering Tuesday in Nelson, B.C., for a wildfire and climate change conference. The purpose of the three-day long conference in the Kootenays — a region that was widely affected by wildfires last year — is to share the latest research and explore initiatives taking place around the globe aimed at tackling climate change, widely considered a cause for an increasing number of blazes. "We're actually seeing quite a lengthening in the wildfire season since the mid-1980s," said University of New Mexico professor Matthew Hurteau, a speaker at the conference. "That has to do with increasing temperature and earlier spring snow melt." Hurteau, a forest ecologist, said he keeps an eye on all fires burning in western North America. He said there are similar causes for both last year's B.C. fires and the ones currently burning in northern California. "With increasing temperature we're seeing the fuels in forests drying out earlier in the season," he said. Hurteau said his most recent research shows controlled burns ahead of the fire season can significantly decrease the threat of wildfires in certain forest types. Although his research has focused primarily on California, Hurteau said there are similar forest types in B.C. that will behave the same way while aflame. Hurteau said many California residents object to controlled burns because of people's aversion to smoke and the lowering of air quality — a sentiment often echoed in B.C. At the beginning of June, the B.C. Wildfire Service began a series of prescribed burns throughout the province in an attempt to mitigate wildfire risk. The wildfire service warned the public ahead of those burns that they may cause significant smoke. Hurteau said he is confident that the benefits of prescribed burning outweigh the drawbacks. "It's not if an area is going to burn by wildfire, but when," he said. 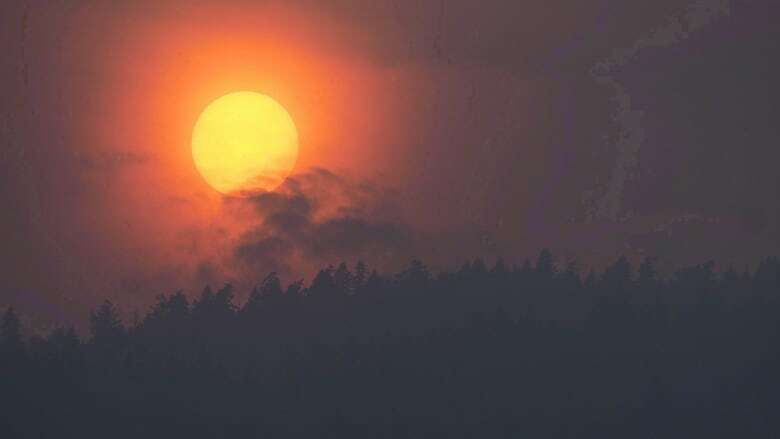 Because controlled burning is typically practised during much more benign weather conditions than the ones that accompany a large wildfire, it actually lowers the emissions from a fire, he said. "As a result we can burn at times when the smoke is likely to be transported higher up in the atmosphere." As a proponent of controlled burning, Hurteau said he is heartened by regional governments in both the U.S. and Canada continuing the preventative practice. Currently, the B.C. Wildfire Service lists three active fires of note on its website, with several dozen lesser wildfires burning across the province.